This accessible and comprehensive textbook is designed specifically to develop students' understanding of leadership in a variety of contexts. 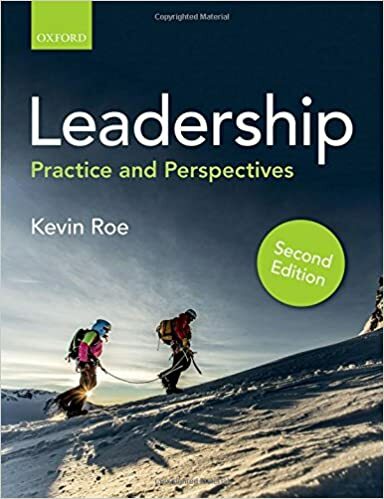 Assuming no prior experience of leadership in the business world, this book is a must-read for students embarking on their study of leadership, while thinking ahead to their own future employment. The book is divided into two clear parts, to logically guide the reader through the key theoretical models of leadership, as well as the issues and themes that surround the subject. Part 1 clearly examines the main theories in the field, including situational and contingency theories, behavioural models, and trait theory, while Part 2 draws on a number of different themes to add depth to the theoretical ideas discussed, such as diversity, power, and ethics. This structure ensures a fundamental understanding of the basics of the subject, as well as a comprehensive grasp of relevant contemporary issues. To help to interpret the key theories, the book also illustrates leadership in action using a wealth of diverse case studies. Examples have been carefully selected to highlight the practical application of leadership theory, both in a formal business context and in everyday life, and dispel the common misconception for students new to leadership that it is only for the 'great and good'. Case studies are from the world of politics, entertainment, and sport; from Jeremy Corbyn, Quentin Taratino, and Oscar Pistorius, to the NHS, Queen Elizabeth I, and Caitlyn Jenner. These case studies explore leadership across a variety of contexts and cultures, giving students the broad perspective they need to consider the subject critically. Pause for thought boxes, self-test questionnaires, and assignment questions encourage students to reflect on the theories and practices they've learned about and how such concepts and issues might apply in their own approach to leadership. Together with the lively writing style, stimulating case studies, and further learning features, this allows students to fully engage with the subject and use the book as an essential tool in their leadership studies.